The CFDA introduced 51 of the best graduate talents worldwide from 30 leading fashion schools as CFDA+ Design Graduates. The 51 who received this honor were selected from over 240 applicants and includes five graduates from the School of Fashion at Academy of Art University. Sponsored by The Council of Fashion Designers of America’s Education & Professional Development division, the program is aimed at targeting young designers with exceptional vision, unique talents and diverse professional potential. 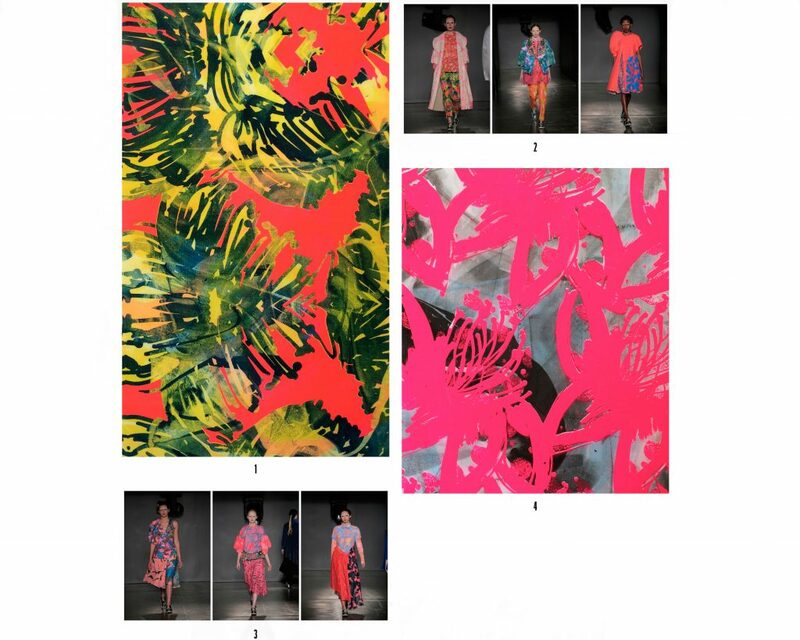 The five Academy designers are MFA textile designers Elizabeth Siedow, Ghazaleh Khalifeh and Namrata Bhandari, BFA textile designer Jadi Haynes and Amy Yip, BFA fashion design and textiles. The application included three phases: portfolio review, interviews and evaluations by a selection committee made up of representatives from Sarah Blair; Barneys New York; Brandon Maxwell; Henry Zankov; DVF; Thomas Chen; Prabal Gurung; Thi Wan; Thom Browne; Wendy Lu and Tory Burch, among many other prominent fashion industry leaders. “I had the most fun in the selection process for this year’s CFDA+ program,” said Brandon Maxwell. 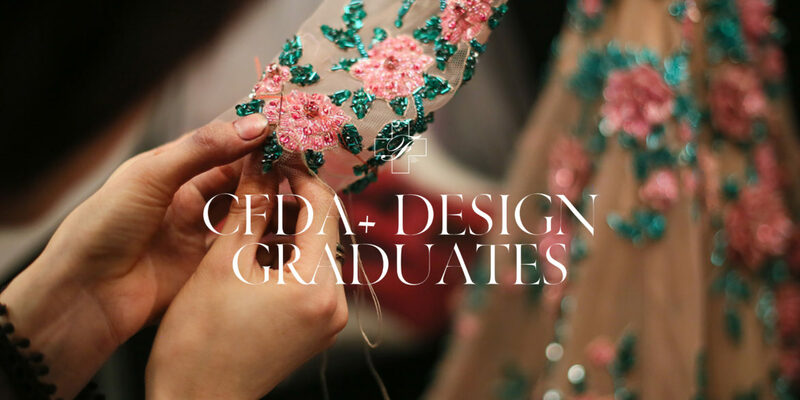 CFDA is partnering with EyesonTalent, Floriane de Saint Pierre’s platform, to spotlight the program and provide greater global visibility to the CFDA+ 2016 Design Graduates. For more information about the program, and to view the graduates’ portfolios, go here. “My undergraduate degree was in Fashion Design in 2009, and I got my MFA in 2016. My experience after graduating was that I was just scratching the surface, and that there was so much more I wanted to learn. Specifically, digging deeper in to the DNA of garments by understanding everything about the fabric and materials. The feeling I had was that, as a culture, we are so removed from how things are made, from clothing to furniture to food and everything in-between, and I really wanted to gain a deeper understanding. 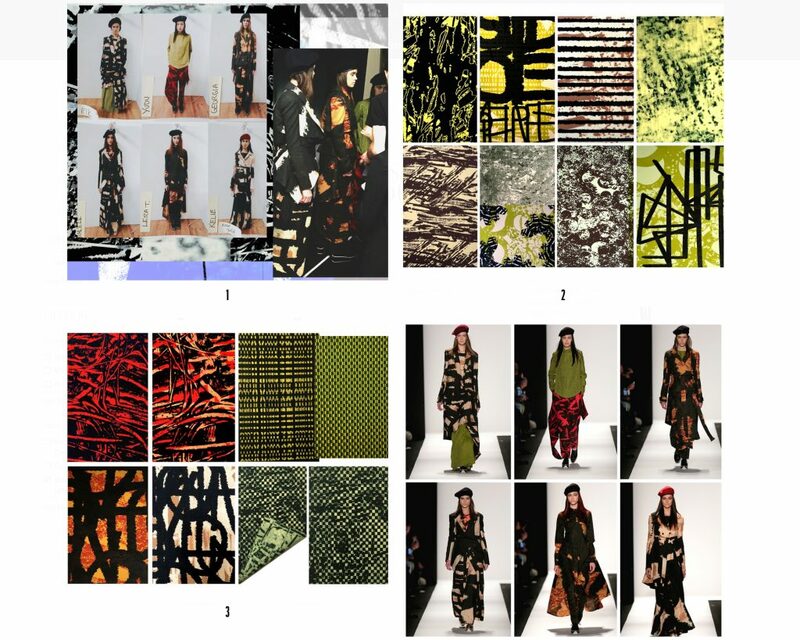 The collection I submitted to the CFDA was a series of prints and weavings illustrating a process of making fabric by screen printing yarn, followed by weaving it into fabric. I took some major risks in my thesis collection by going in a unique direction. The CFDA+ honor is huge for me as a means of validating those risks. It is so incredible to be recognized as an innovator, and I don’t take that honor lightly. It also helped me to realize even more how important it is to support other designers and artists, and what a vitally important organization the CFDA is. “The main focus of my multi-layered submission was a visual PDF of the design work I developed during my time as an MFA student at Academy of Art University. 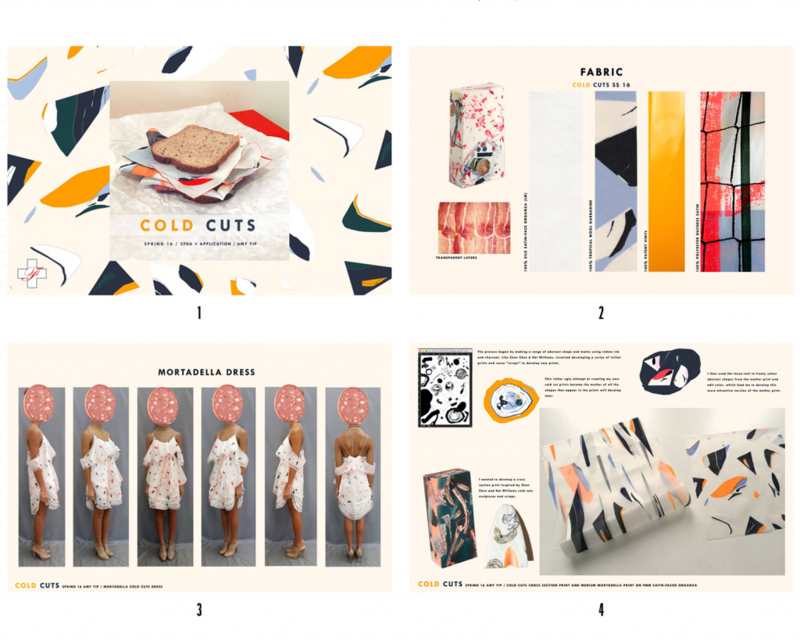 While I had to primarily showcase work from my senior thesis collection, I entered a total of five portfolio projects that covered a wide range of work created in textile and knitwear design courses— everything from concept development to final pieces such as swatches and garments. 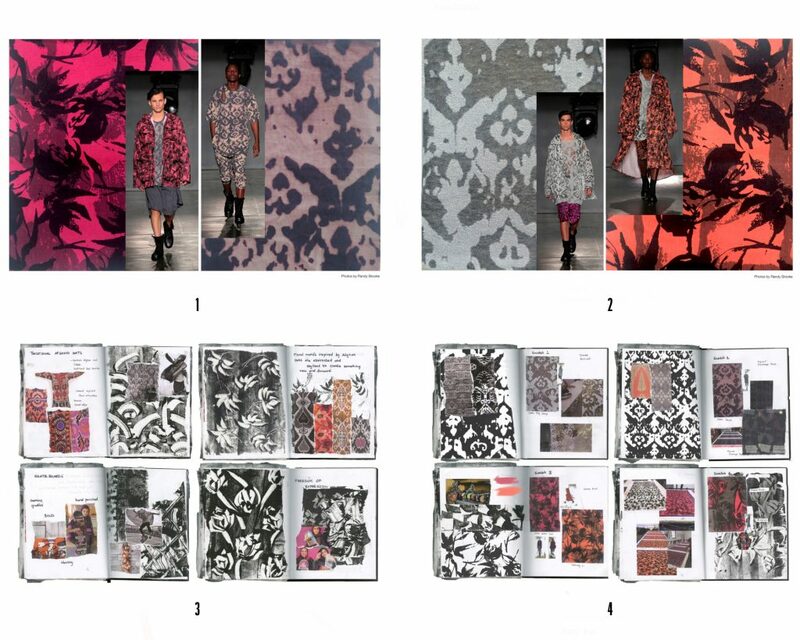 In addition, my visual PDF included pages from my massive archive of heavy and cake-sized inspiration sketchbooks, as well as a small sampling of digital textiles I created using Adobe Photoshop and Kaledo CAD. Having [previously} been named the inaugural recipient 2008 $25,000 CFDA Geoffrey Beene Design Scholarship will always mean so much to me – not only because the scholarship provided much financial support to my educational pursuits, but also because the recognition moved me even more to pursue the direction of my creative passions. Now, eight years later, having had the incredible opportunity to submit work again to the CFDA this 2016, within a new era of my design path, and to be officially selected, as a CFDA+ Design Graduate is such a blessing! What an honor to have the CFDA’s support as I finally cross the bridge between my 10+ years of education to my career as a designer. “As part of my CFDA+ portfolio entry, I submitted my thesis project – a menswear collaboration with BFA Fashion Design student Justin Moreno, which was showcased at the Academy of Art University Graduate Fashion Show in San Francisco. In addition to this, I also submitted a few selected projects from my last two semesters at the Academy. Through my portfolio, I wanted to show the panel my creative aesthetic and also what inspires and drives me as a textile designer. I chose my projects such that they, together, portrayed my design identity as well as my aspirations. I love working with themes from the past. 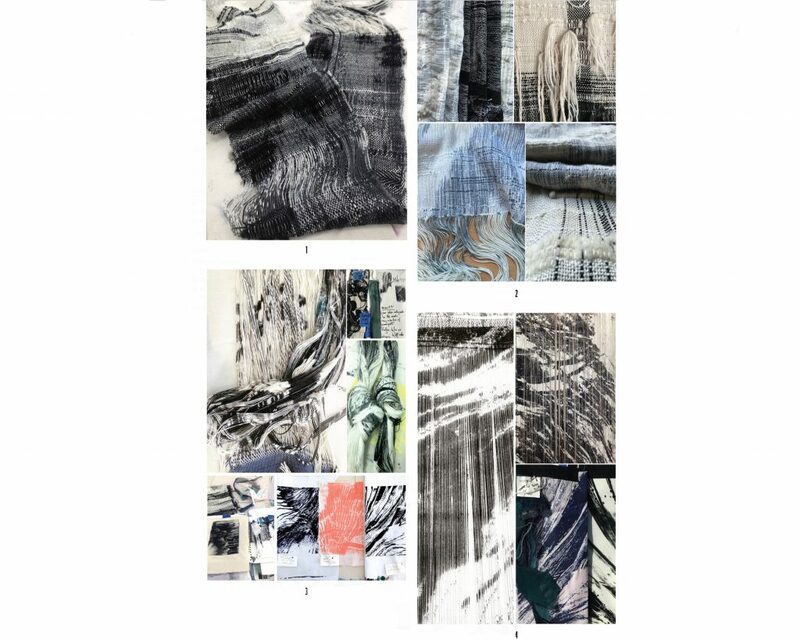 Usually my process and textile designs involve experimenting with traditional ideas and processes in new and modern ways, and often mixing different approaches together in an effort to create something new that retains a little of the ‘Old World.’ My projects were chosen so that together, they built on this theme, yet tried to show varied and versatile possibilities and explorations. “The majority of the work I submitted to CFDA + was from the recent Graduation Fashion Show I did in collaboration with with fashion design student Regina Yoon. She’s originally from South Korea and took inspiration from traditional silhouettes from her culture. We wanted the textile to be very very colorful (I ended up using over 15 colors in the collection.) We had lots of florals and I didn’t want them to be too literal. I wanted them to feel very hand-done, sort of like a painting. My textile teachers [Rhona MacKenzie and Jennfer Jeon} were amazing. One of the many takeaways I’ll always live by is to be efficient and to be on time. You can be the greatest designer but if you can’t execute and people can’t rely on you, then that can hurt your career. In the future, I plan to get a position as a print designer at a well-known fashion brand. Ideally, I would love to work for Acne Studios, Dries van Noten, Marc Jacobs, or Marni. I’ll be staying in California for a little bit longer but I’m open to move anywhere inspiring. The CFDA+ honor will help in the future because it is so well known and so many people in the industry are involved. Amy has worked for Proenza Schouler and Old Navy, where she was chosen as the Old Navy Summer Internship Competition Winner. She was also a finalist for the Joe’s Blackbook Scholarship Competition and a runner-up in the CFDA Teen Vogue 2014 Scholarship. Born and raised in New Zealand, she describes herself as someone who has always been consumed by American culture: movies, television, music, art and fashion. “For the CFDA+ competition, I submitted my ‘Cold Cuts’ project from my pre-collection last fall,” she said. “It was inspired by ham hocks by Brooklyn-based artists Chen Chen and Kai Williams. The artists wrapped fishnet and polymers around found objects, slice and buff them and the end result resembles synthetic Mortadella. 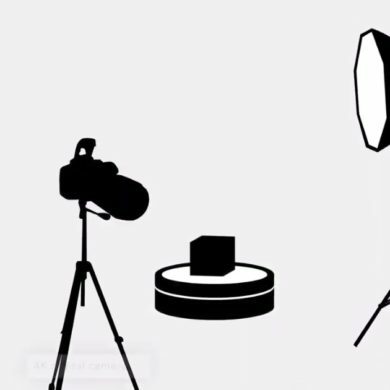 I wanted to apply the same concept to the way I developed my prints. The initial idea was to hand illustrate shapes, then assemble them into a ‘mother print’ then to slice them up to create new abstractions. Amy currently resides in Antwerp, where she has been interning in the Fashion Design department at Christian Wijnants. Text by Stephan Rabimov, Director of Fashion Journalism and Social Media Center, and Paul Wilner, Full-Time Fashion Journalism Faculty at the Academy of Art University.